I was browsing on YouTube and came across something on the 10 Best Movie Sword Fights. 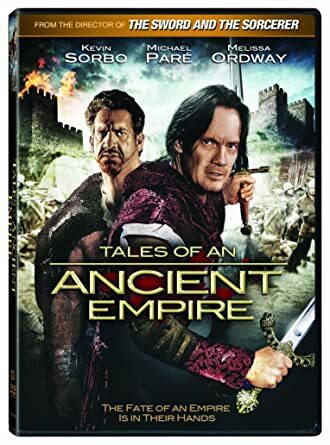 The fantastic sword fight between Inigo and Westley is in there, but what bugged me is that none of the epic fights of Errol Flynn were in it. There were three fights in Captain Blood, The Adventures of Robin Hood, and The Sea Hawk that make a few of the ones they chose sick. In the final fight in The Sea Hawk, part of the time all you see is the shadows of the fighters on the wall, not even the fighters themselves, which creates a terrific effect. Just about the earliest movie fight that they mention is the Princess Bride one, but without those fantastic Errol Flynn fights, that would not be that special. Disclaimer: I am not old enough to have seen the three Errol Flynn movies in the theater when they first came out. I do have all of them on DVD however. 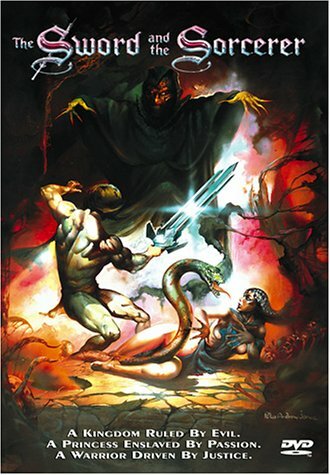 I will not mention the top sword fight, as that would spoil things. However, I would put all three of Flynn's and the Princess Bride fight ahead of it. And I tell you, as a heavy-blade fencer, fun as they are to watch, they're lousy as fights. So many missed opportunities. A rapier duel looks far more like 1-4 minutes of circling, and a single telling jab you might not notice. Depends on the Channel; some commentators go more for realism than spectacle, especially those that appear to be instructors. I'm not a fencer, but I recall the sword fights in Richard Lester's Three Musketeers movie from the 1970s looked very plausible. They used what looked like authentic weapons, with a lot of circling (when they didn't involve braining someone with a chair, or a kick in the nuts). Definitely not Errol Flynn-style duels. The purpose of a beat (blade on blade contact) is to do either of (1) clear their blade, or (2)make a hole in their defense. If not, pick an approach to making a hole: Circle, beat again, wait, retreat for lunge or fleché. If you take a beat as hard as Errol's, he's going past threat; spring up over, or down under his blade, tip in, and thrust. You do NOT counter beat; you try to go around his blade to let his momentum clear his blade. Wasn't it in filming Robin Hood that Flynn was stabbed by an extra with an unprotected blade? He questioned the extra how this could happen and the extra told him the director told him to do it to 'increase the excitement'. A very good choice, I would say.